Vessels used in the UAE, manufactured locally, often used in diving trips and the search for pearls, as used in the travel and transportation of goods and fishing in depths far. Locally manufactured and used to travel diving, fishing, and a length of about (60) forward, and the railway ranging between 25-60 tons, and said to refit is originally from the ancient Egyptian vessels, and there are saying that the name Persian. The traveler (Ibn Battoutah) in one of his trips, saying: (we take the coast of Basra in Sanbouk-a small boat-to abla, and between them and Basra ten miles. Ship manufactured locally and used to travel diving, fishing, ranging in length from 40-60 ahead, having entered this name in the United Arab Emirates late sixties and sometimes overlooks (launch) and this type of vessels is common in the state at the present time and with the same name. Ship Galbot similar, but they differ in amplitude and depth, it is in the mid-size Galbot and virginity, one of the oldest vessels dive in the Emirates. The old diving vessels, cargo ranging between 10-30 tons, the reason renamed the tribe (Baggara) on the Sudanese Red Sea coast. That there ships and small boats used for the rapid movement of large ships and Alaju and beaches within the Emirates, called Ahali different designations such as: (Ahahov - Almachoh - Alhori-working), these vessels are often used for diving in the short distances from the coast, sometimes moved by Ataiwawic between ships dive sites in a large fishing. 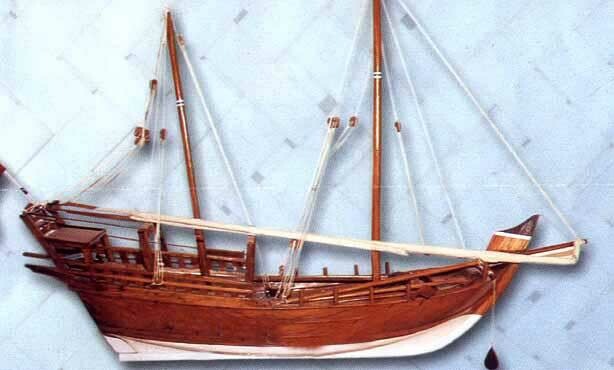 And all the ships mentioned above were adopted in momentum to the sail, Oarlock, so it is the large vessels using a set of Majadev number could reach mariners on board the vessel, and sometimes more than Sail, and the Gulf Arabs were the first to sail used triangle in the world of navigation and seas.